Chosen Art Tattoo - Award Winning Tattoo Shop in Glendale AZ! 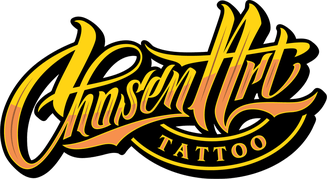 Chosen Art Tattoo is a high-quality tattoo shop in Glendale, Arizona serving the Phoenix Metropolitan area and beyond since 2009. 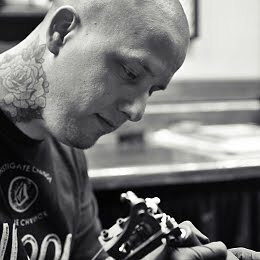 Our tattoo artists deliver high-quality custom tattoo art you will be proud to wear for the rest of your life. This high-quality tattoo shop in Glendale opened its doors in 2009 with a goal in mind to have a high-quality art driven shop full of not only technically skilled tattoo artists but artists that are true to their core. This all-star staff continues creating a strong reputation as a solid tattoo shop in Glendale, consistently putting out high-quality and impactful artwork. In 2011, this reputation is what attracted Eric “Trouble” Jones like a moth to a flame. 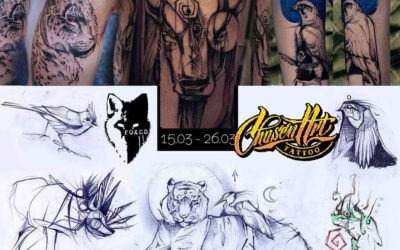 Chosen Art Tattoo Shop is the best tattoo shop in Glendale AZ and is here for your tattoo and body art needs – serving the Phoenix Metropolitan area and beyond since 2009. Our team of talented and experienced tattoo artists delivers quality custom tattoo work that you can be proud to wear on your body for the rest of your life. 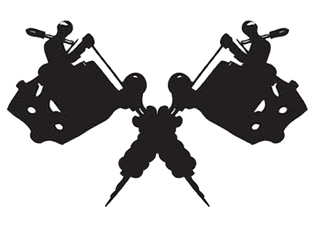 The staff takes pride in maintaining a clean and professional work environment as well as an inviting art gallery where our artists and friends display various work. Available for consultations, teaming up clients with our skilled tattoo artists to give personal and professional advice for custom design, tattoo prices, and tattoo aftercare. The shops clean and safe facility provides the right atmosphere for your next tattoo. 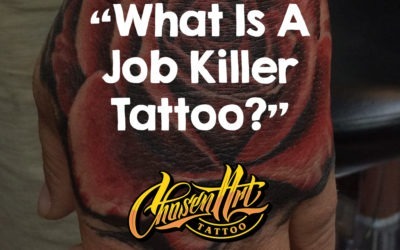 What is a Job Killer Tattoo? What is a job killer tattoo? Do you have one? There’s a grey line between what isn’t and what is a job killer tattoo. Find out here if yours is safe! Getting a new tattoo should be an exhilarating experience. 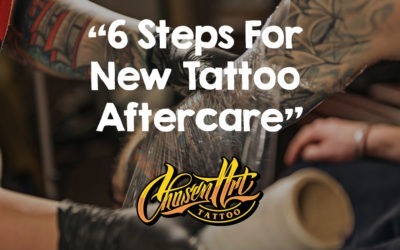 Read our 6 EASY steps for new tattoo aftercare today for a lasting positive tattoo experience. Gloria Faron is a tattoo artist at Foxed Tattoo, hailing from Warsaw, Poland. Get your tattoos with Gloria from March 15th -26th, 2019! 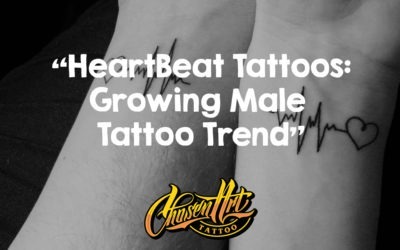 Heartbeat tattoos are a growing tattoo trend for men in 2019. Let’s take a look into why heartbeat tattoos, also known as pulse tattoos, are trending. As popular as watercolor tattoos have become, there are still plenty of lingering questions. 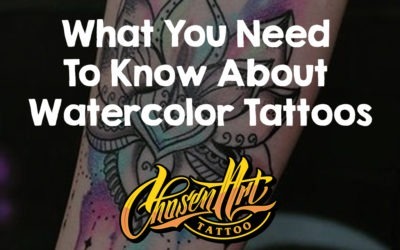 Learn more about watercolor tattoos today. 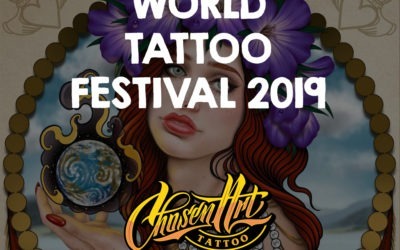 Chosen Art Tattoo has been invited to the World Tattoo Festival 2019 in Northern Ireland April 26th – 28th at the Eikon Exhibition Centre. Learn more today! I love this place. The owner, Eric, is AMAZING. His work, capabilities, and talent are out of this world with a personality to match. He is an expert at what he does and knows what he’s talking about. The quality is phenomenal, and the pricing is more than fair. He, along with any other artist at Chosen Art, delivers without a doubt. After going to Eric for my work, I couldn’t imagine going anywhere else. And I am honored to see my dad’s portrait featured on this page. Michelle N.
I currently am getting a sleeve done by Trouble and couldn’t be happier, his work amazes me!! !…AWESOME color, beautiful designs and most importantly he has an extremely light hand. Chosen Art has a lot of very talented Artists…A few of my hands down favorites are Melissa,Diamond and Brent. Besides the talent the shop itself is very clean and a very chill atmosphere ..Definitely recommend Chosen Art Tattoo Studio!!! Stevie V.
This was my first tattoo and it was an awesome experience. My artist was Mat and he did an amazing job on my piece. These guys really care about the quality they put out and have great costumer service. The artist are all chill and don’t have big egos like other shops. I will definitely be returning to get more ink! Chase M.